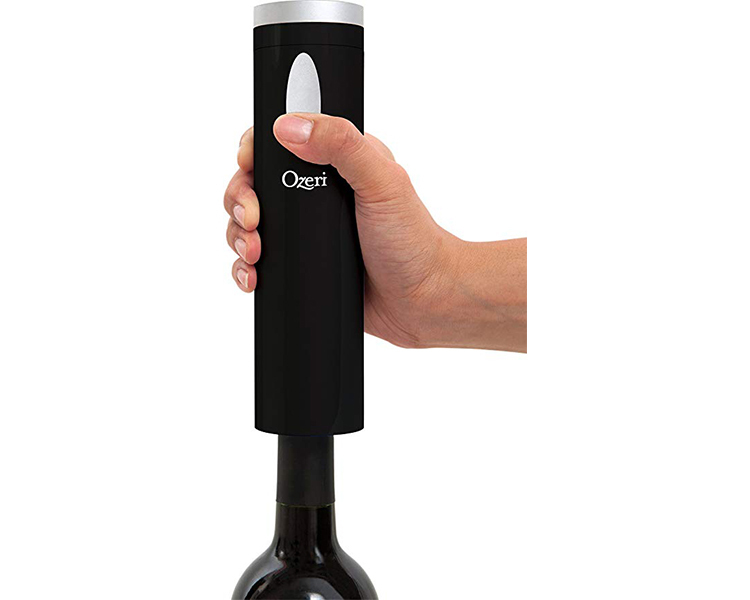 Introducing the Ozeri Fascina Electric Wine Opener. 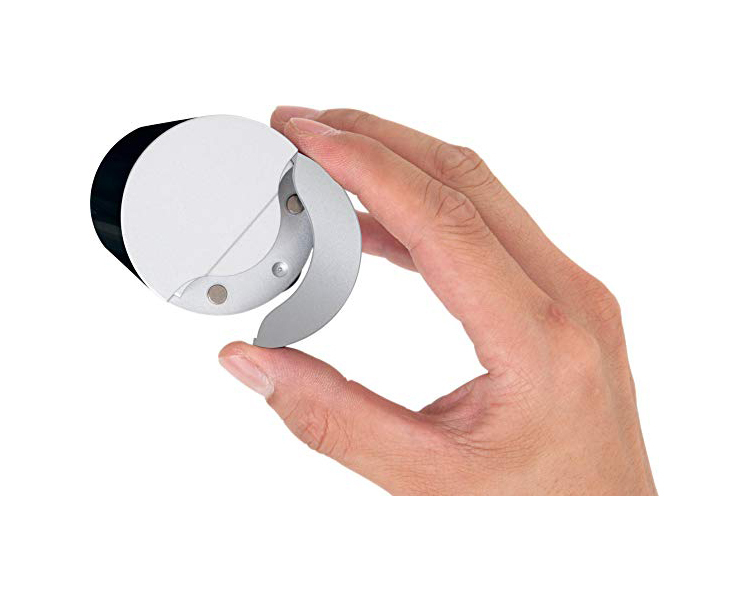 Capable of opening up to 60 bottles on a single set of inexpensive AAA batteries, the Fascina requires no more effort than pushing a button for cork removal. 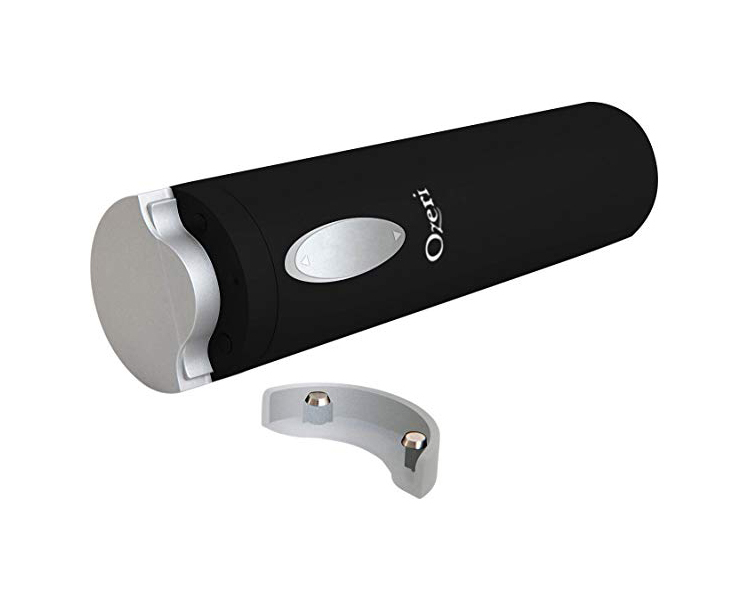 The Ozeri Fascina Electric Wine Opener is completely cordless and includes a compact and integrated foil cutter that removes easily. Capable with both natural and synthetic corks, the Fascina boasts an ultra light-weight design for effortless handling. 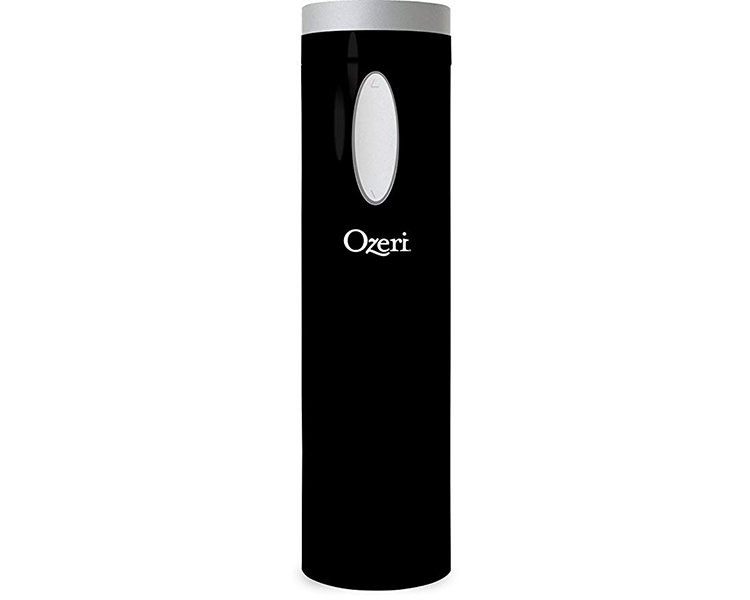 Using the Ozeri Fascina Bottle Opener couldn't be easier. 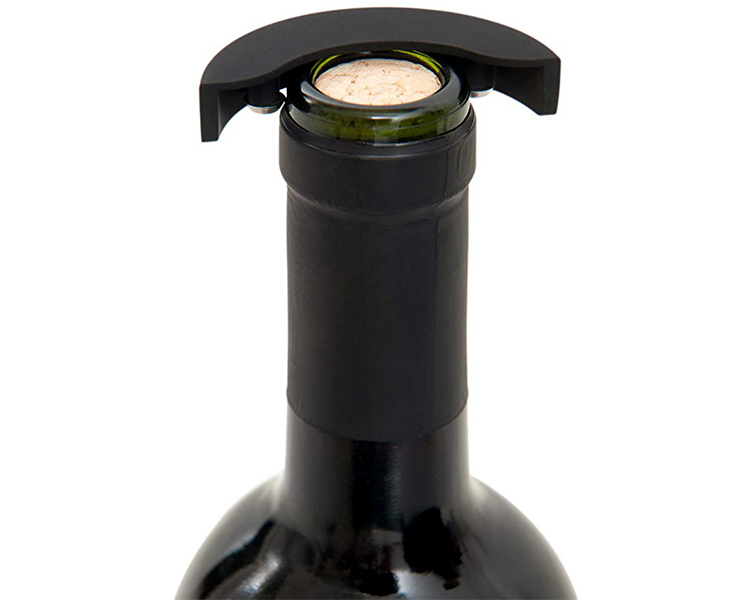 Start by using the included foil cutter to remove the wine bottle seal. 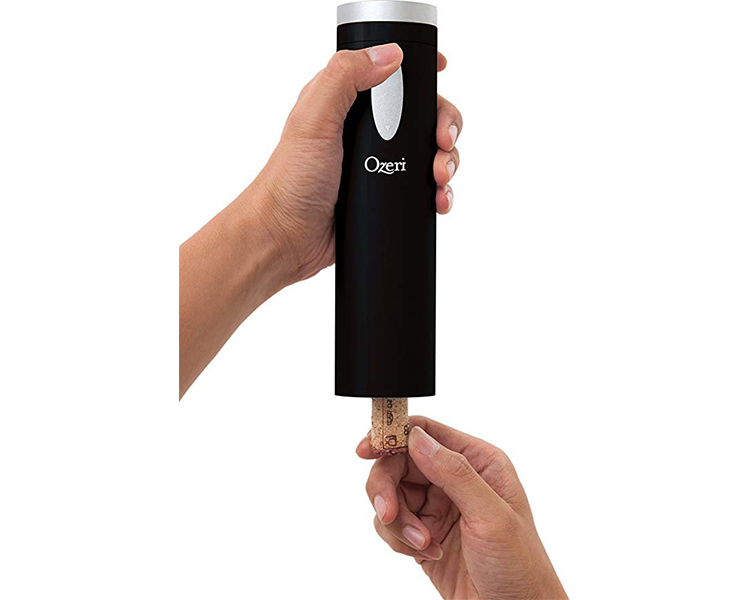 Simply press the Down button to activate cork removal. Then press the Up button to release the cork. Voila. 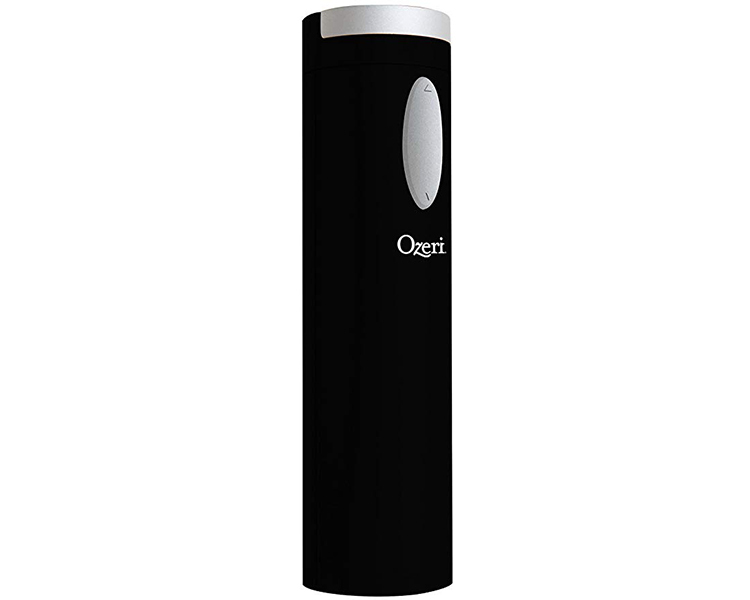 Impress and entertain while opening your next bottle of wine, with the Ozeri Fascina Electric Wine Opener. Runs on 6 AAA batteries (included). Your satisfaction is guaranteed. .